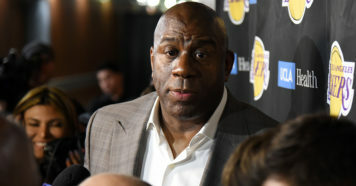 The Lakers were cleared of their most recent tampering investigation, but that is the least of the team’s concerns heading into the NBA All-Star break. The league was investigating whether the Lakers had improper contact with 76ers guard Ben Simmons. Simmons reportedly requested to work out with Lakers’ President of Basketball Operations Magic Johnson in an attempt to get tips from a fellow big point guard. Keep in mind that Simmons also requested to work out with other NBA legends like Allen Iverson, Kobe Bryant and Tim Duncan, per Stadium NBA Insider Shams Charania. 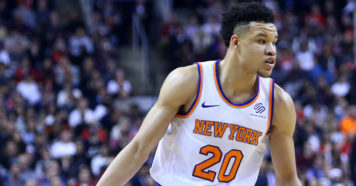 Johnson publicly brought up the workout request unprompted during his trip to Philadelphia Sunday, causing the NBA to look into the matter. According to Charania, the conversation surrounding a potential meeting between Simmons and Johnson was initiated by two staffers from the Lakers and 76ers, but the discussion never moved past that point. The NBA ultimately cleared the Lakers of any wrongdoing. This is the third known instance where the Lakers were officially being investigated for potential tampering. Los Angeles was already fined $500,000 for communications GM Rob Pelinka had with Paul George’s agent. The Lakers then drew a second fine, this time for $50,000, when Johnson spoke highly of Giannis Antetokounmpo in an interview. Just add this latest investigation to what was already a turbulent trade deadline in Los Angeles. The Lakers were in pursuit of Anthony Davis, who had requested a trade from the Pelicans on Jan. 28, but New Orleans eventually decided to hold on to their All-Star. According to Charania, the negotiation was “very one-sided,” and the Pelicans never responded to the Lakers. On Sunday, Johnson revealed that he thought New Orleans didn’t negotiate in good faith. Despite falling short in their pursuit of Davis, the Lakers did end up making two trades. They acquired Reggie Bullock for Sviatoslav Mykhailiuk and a second-round pick and Mike Muscala for Ivica Zubac and Michael Beasley. Bullock and Muscala are expected to provide shooting for Los Angeles going forward, but the team’s young core might not be over the trade deadline talk just yet. Los Angeles’ last offer to the Pelicans reportedly involved Lonzo Ball, Kyle Kuzma, Brandon Ingram, Rajon Rondo, Lance Stephenson, Michael Beasley and two first-round picks for Davis and Solomon Hill. The highly publicized reports surrounding the potential blockbuster trade “didn’t sit well” with the young Lakers whose names were mentioned in the proposal, per Charania. However, it wasn’t just the youngsters who had issues. After a 115-101 loss to the Warriors on Feb. 2, several Lakers veterans had a confrontation with head coach Luke Walton, according to Charania. The confrontation centered around Walton saying the veterans were making “selfish” plays. Considering that LeBron James reportedly would prefer to play for a different head coach than Walton, this locker room spat immediately became a top story. But don’t let James get off easy. He also deserves criticism for his role in creating the Lakers’ dysfunctional environment. He consistently expressed his desire to play with Davis — both players share the same agent — which is why it’s hard not to assume that James was involved in some sort of backchannel communication with AD while the Pelicans and Lakers were hammering out a potential trade. Think back to late December, the Lakers were 20-14 and sitting in fourth place in the West. 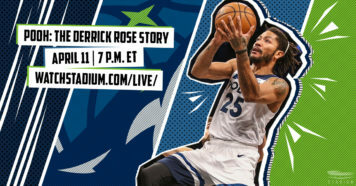 Now, the team is .500, 10th in the conference and dealing with the fallout from James likely suggesting that half of the roster be included in a massive — and public — trade proposal that ultimately failed. That’s why the All-Star break has arrived at the perfect time for the Lakers. While James and Kuzma will be partaking in All-Star festivities, the rest of the roster will get an opportunity to re-focus before the final stretch of the regular season. Then we’ll find out if James, Johnson and Walton can re-unite the locker room and lead the Lakers into the playoffs.